There are somewhere in the ballpark of 700 wineries in Washington state these days and Oregon is creeping up on 400. That adds up to a lot of opportunity for discovery. With such great variety there's so much wine to discover year in and year out and 2011 was full of gems. As the days, weeks and months ticked by, we here at the Anthem were able to taste a lot of wines; wines from friends, wines we bought, wines we sampled at events, wines we received to write about and wines we shared over dinner, barrel samples of wine, aged wine and wine just pressed off the skins. That's a lot of wine. At the Anthem we try to bring you undiscovered gems from the Great Northwest and along the way we often find that we ourselves are incredibly pleased with the discoveries. This year was no different, (actually maybe it was, as this was our first year in operation) and so we give to you our Top Five Discoveries of 2011. You can accuse us of being Northwest wine cheerleaders, "Ready? Okay!" and we'd be fine with that but the "sky is falling" approach that has been taken with really the last two Willamette Valley vintages is way over the top. Willamette Valley insider Jenny Mosbacher ran down the inside dirt for us on 2011 in this brilliant post. A couple of know-it-alls start talking smack and the next thing you know the whole crop has gone to pot. Fact is, if you talk to winemakers in the Valley about 2011 a lot of them are very excited, and exhausted, but they feel the vintage holds substantial promise. As further proof I found myself completely blown away barrel sampling the 2010 offerings from the Valley at the Salud Cuvee Auction. If there was a discovery to be made there it was that this vintage is "just right" as I think back on all the hand wringing that happened a year ago (cue the birds). Oh, and take my word for it, when it comes to market buy as much 2010 Antica Terra Pinot Noir as you can get your grubby little hands on. While it's very obvious to anyone who looks around that the wine scene remains steeped in old people what with their fancy cars and money; there's a movement afoot. 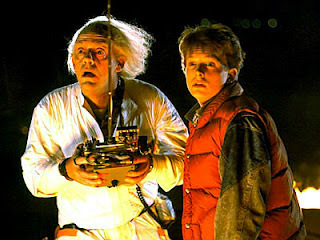 The thing about being old is eventually you stop being old and start being dead. Before that happens you stop working as well, you may need help across the street with the groceries, and a reminder about whether or not you've already seen that movie. We've seen a youth movement here in our own wine region that's refreshing. Young winemakers in Oregon and Washington are showing a deep respect for the traditions of wine while doing it their own way. Young winemakers to watch include Brian Rudin of Walla Walla's Cadaretta, Melissa Burr of Dundee's Stoller Vineyards, Chip McLaughlin of Vinyl Wines and from Southern Oregon, Chris Jiron of God King Slave Wines. I love Canada for a lot of reasons, chief among them hockey, syrup and talking funny but if you're a wine lover that's ever needed a reason to love Canada, I give you Joie Farm winery. They make quite simply the best aromatic white wines I think I've ever had and I would say the best the new world has to offer. The growing, yet somewhat mysterious, Canadian wine industry is still shooting out all manner of varietals but they are indeed a cold climate region, perhaps more than anywhere in the world. The varietal selection and wine making techniques of Joie Farm's Heidi Noble and Michael Dinn are aimed at making the most of what they're given in BC's cool Okanagan Valley. There's a definite homage paid to old world white wines of the alpine regions of France and Italy and if you're one of those wine drinkers who claims to love white wines and you haven't had the wines of Joie Farm, what's holding you up? On occasion there are wines that stick with you and every once in awhile you say "Whoa." As it turns out my whoa wine of 2011 was actually released late in 2010, but the fact of the matter is, I drank it in 2011. 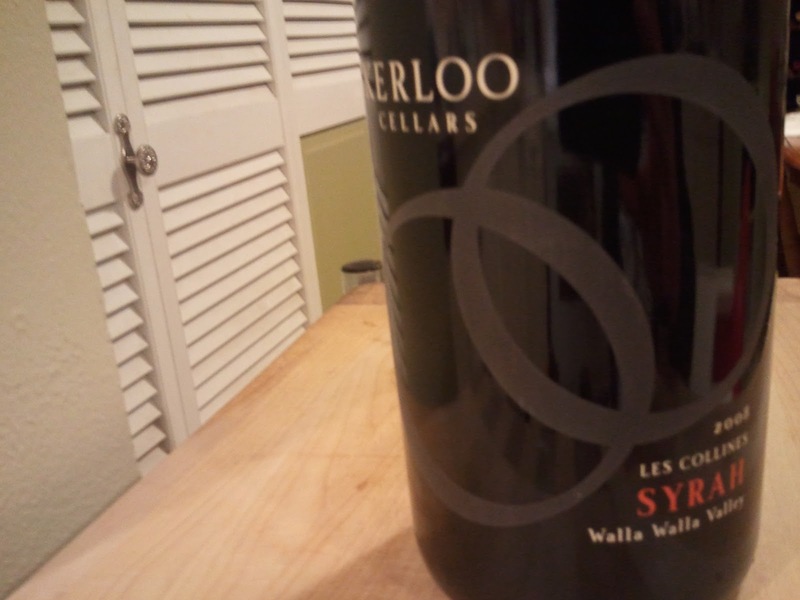 The 2008 Les Collines Syrah from Walla Walla's Kerloo Cellars was my wine of the year. It was absolutely outstanding. The Syrah from Les Collines in 2008 was special, I had another Les Collines gem from Forgeron Cellars that was also memorable. The vineyard is part of the Amavi estate holdings and with its reputation for excellence, it has become one of Washington's most sought after sources for Syrah. The Kerloo Syrah delivers earthen and herbal aromatics and an opulent potpourri of dried rose petals and violets, delivering on both elegance in the aromatics and substantive complexity on the palate. A hint of orange zest has you wondering if there was any cofermented Viognier but this is 100% Syrah. The herbal elements that are a signature of Les Collines appear in the palate along with layers of earth, blue fruits and toasted hazelnuts. This wine is all gone, but the 2009s are not, though they will be soon. If you've not yet discovered Kerloo - hustle.